Based on your performance at our National Tour Evaluation event, you could be invited to participate in an Under Armour Baseball Factory national team or Training events to further your game and get discovered by college coaches. Baseball Factory alumni George Springer, Bryce Harper, Kris Bryant, Francisco Lindor, and Justin Verlander did it, so why not you? For 25 years, Baseball Factory's signature program has helped players successfully navigate the college recruiting process. Receive tools to gain exposure nationwide and create opportunities at the next level to reach your potential. For 25 years, Baseball Factory's proven system has helped players reach their long-term potential as varsity starters, all-state athletes and standout college baseball players at all levels. HOW WILL THIS EVENT HELP ME? The evaluation process is fantastic. That's the thing that separates the Baseball Factory from others. The resume of the scouts and coaches in attendance is awesome. Their knowledge and experience is impeccable. It's always ran professionally, and above all honest evaluations. As a parent, that’s all you can ask for.-Nick L.
If Robert never plays college baseball, or never realizes his dream of a future in baseball, I will always be grateful to Baseball Factory and Patrick Wuebben. Because of Patrick, my son believes in himself, knows how to work hard, and is physically healthy! That alone is worth all the time and money we’ve invested with Baseball Factory!-Lynda W.
I've been to many baseball events over the years, and this one was like none other. The quality of the instruction, the dedication of the entire staff, regardless of their role, the education and life-lessons that were passed along, whether it be through lectures or through individual conversation.... it all exceeded my expectations as a parent.-Valerie W.
Mason truly immersed himself in the experience, really had a lot of fun, enjoyed meeting and hanging with all of the other boys and now has a real preview and taste of how it works and what it takes! We are both so grateful and appreciative and know that this is just the beginning.-Justin H.
My favorite part had to be getting way better at pitching. The coaches were amazing and helped me improve every aspect of my game. Once again, thank you for the experience and I'm super excited to get another opportunity to play with Baseball Factory and improve my game.-Mason R.
How Do We Test? The athlete gets into an athletic, base running stance and runs as fast as they can. Timing starts on athletes' first movement. What Does It Test? Measures speed in seconds over first 60 yards. Why We Test? We test the 60 to see if an athlete has a quicker start or finish to their dash. Knowing where the athlete is faster or slower will help them focus their training more on that particular part of their run to help decrease overall 60 yard dash. We also evaluate hitting, power and fielding as well as pitching and catching. 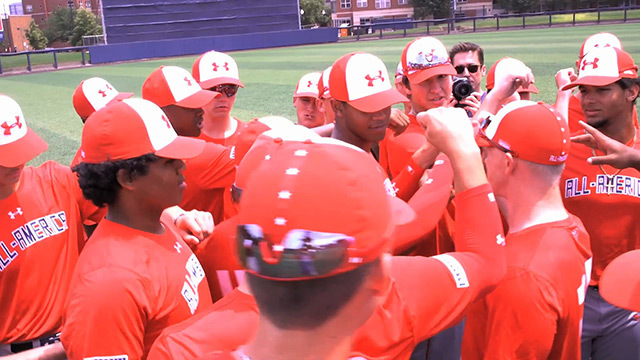 When you attend the Under Armour Baseball Factory National Tryout and choose the College PREP Program, you receive a professionally edited video of your performance along with a precription for success to help improve your game. 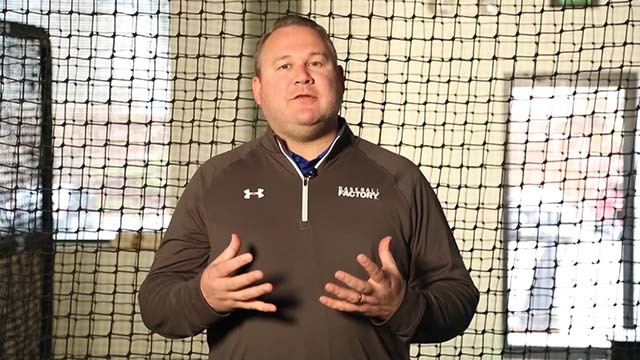 When you attend an Under Armour Baseball Factory National Evaluation and choose the Interactive Video Program, you receive a professionally edited video of your performance along with a recommendation to help improve your game. 1 EVENT. 3 GREAT PROGRAMS. Events for this location or month have not been confirmed yet. Please select another location or month. The first step is participating in an Under Armour Baseball Factory National Tryout and Evaluation Event. Our professional staff will point you in the right direction based on your goals and ability level. From small group instruction and tournament teams to video and evaluation sessions and elite showcases, we will help you propel your game to the next level. 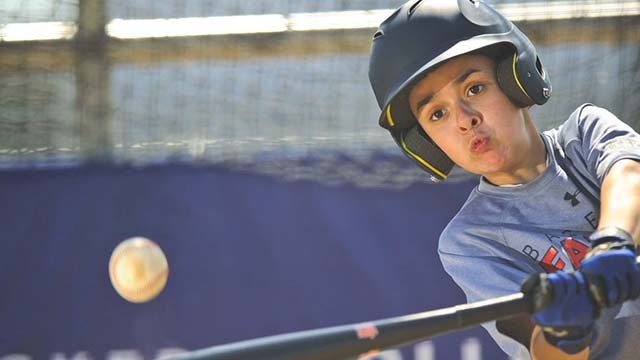 Baseball Factory offers programs for players’ youth through high school ages. To view the youth program offerings, designed for players as young as age 10, visit our Little League Events Page. For more information on programs for players ages 11-18, check out Under Armour Baseball Factory Player Development Page. After I attend an Under Amour Baseball Factory National Evaluation, what is the next step? Many players at our National Evaluation are selected to participate in an Under Armour Baseball Factory National Team event such as the Omaha National World Series or Christmas Camp and Tournament at Pirate City. Others will be chosen to train with world-class instructors at Under Armour Baseball Factory National Training programs that take place at first-class facilities across the country. Who can I talk to today about getting involved with Baseball Factory? Get in touch with Baseball Factory today! Call us toll free at 1.800.641.4487 to speak with an Under Armour Baseball Factory Representative and start your path to college baseball. Register for the Under Armour Baseball Factory National Evaluation online at baseballfactory.com/events/ or call us toll free at 1.800.641.4487. What colleges have the former Baseball Factory players attended? Our alumni include more than 100,000 college ballplayers, 550+ MLB players, Regular season and World Series MVPs, Cy Youngs, Rookie of the Years, and Gold Glove award winners. All-Stars like Francisco Lindor, Nolan Arenado, CC Sabathia, David Wright, and MVP’s, Christian Yelich, Bryce Harper, Kris Bryant and Josh Donaldson got their starts here. Click here to see the Baseball Factory Alumni.